Color is key when planning any type of soiree, especially your wedding. It's hard to see through the trends of bold colors to the traditional neutrals. It is also difficult to envision what your colors will look like together and how they will be presented at your wedding...well...not anymore. 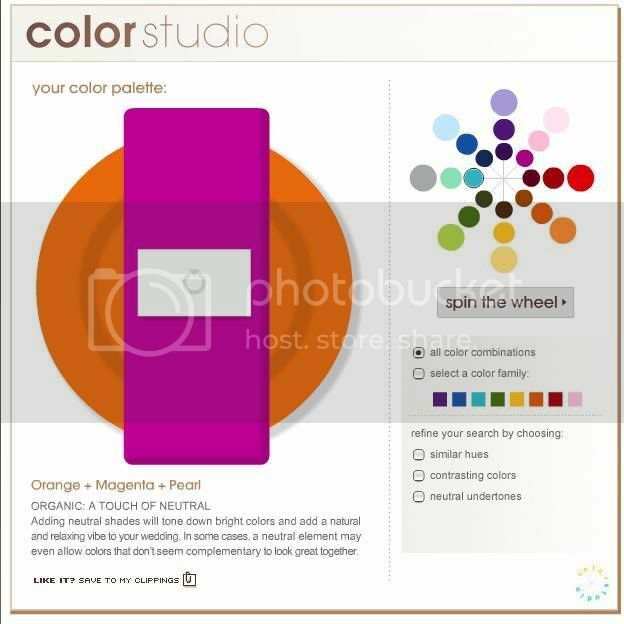 If you haven't played or heard of it before check out Modern Bride's interactive color studio. It consists of a traditional color wheel that you can spin randomly or specifically to obtain different hues and color combinations in a place setting setting. Be careful because I wouldn't necessarily recommend all the suggestions the color wheel comes up with, but it is sure fun to spin. Have fun spinning!! !